Sagehen Creek Field Station & the Sagehen Experimental Forest are research and teaching facilities of the University of California at Berkeley's Office of the Vice Chancellor for Research, the Berkeley Natural History Museums & the U.C. Natural Reserve System. The Field Station was established in 1951 with the signing of a long-term special use permit with the USDA Forest Service. Today, this relationship includes the Tahoe National Forest which manages the land, & the Pacific Southwest Research Station, which created the Sagehen Experimental Forest in 2005. California Naturalist training will introduce you to the wonders of our unique ecology and engage you in the stewardship of California’s natural communities. The courses will utilize a combination of science curriculum, guest lecturers, field trips and project-based learning to immerse you in the natural world of the Central Sierra. Through the course, participants will develop their ability to observe nature and will learn tools to improve these skills. In addition, participants will improve their communication skills by sharing knowledge with other participants and by working on a capstone project. 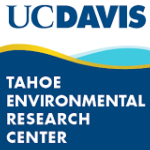 Upon completing certification requirements, participants are eligible for four academic credits through UC Davis Extension for an additional nominal fee. Cost before June 20, 2019: $1200 Includes station accommodations, meals, course instruction, graduation certificate, registration with California Naturalist and website support. For registrations occurring after June 20, 2019, there is an additional $50 fee. Please pay by check to reserve your place and begin receiving pre-course communications. We will hold your check until June 30, 2019 (the course go/no go date) when--if you prefer--we can tear up your check and charge a credit card instead. After that date, there are no refunds.